Aveo Carisfield is a delightful retirement community, very popular with those who enjoy an independent lifestyle. This warm and friendly community has extensive services in an idyllic setting, close to the beach, surrounded by parks and golf courses. At Aveo Carisfield you will find all your day-to-day needs can be taken care of at the nearby Grange shops, Fulham Gardens or West Lakes shopping mall. Medical and specialist services are available in the area, a local pharmacy delivers to the village and a podiatrist also makes regular visits on a user-pays basis. 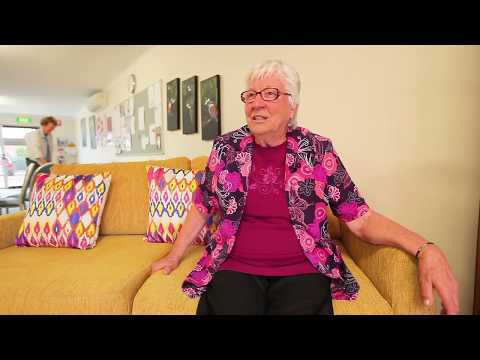 Life at Aveo Carisfield can certainly be described as convenient and content. Our residences have been thoughtfully designed with your needs in mind. Each Independent Living Unit has a spacious living room, a practical, well designed kitchen, bathroom, laundry and a garage or carport. With 103 units comprising of seven wonderfully varied, two or three-bedroom designs, there are plenty of choices to suit your needs. Installed in all Aveo residences is a 24-hour monitored call system for emergencies, giving you and your family peace-of-mind. Aveo’s friendly and dedicated staff keep an eye out for everyone. Should you go away on holiday, it is reassuring to know that someone will be watching over your home.